Backshop lets you manage all deal-related documents anywhere you have an internet connection. 1. Click the Documents tab and Upload sub-link. 2. Enter document category and document type, which are required, and browse for the document on your computer or network. Enter or edit as much information as you like; you can always update the record. 3. Click the Update button. 1. Click the Documents tab and Upload Multiple sub-link. 2. 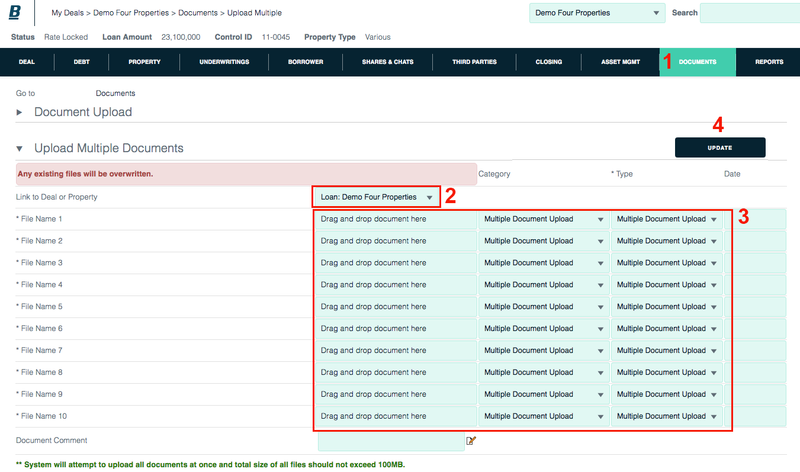 Using the menu, specify which loan or property this batch of documents applies to. 3. Browse for the documents on your computer or network. 4. Click the Update button. 1. 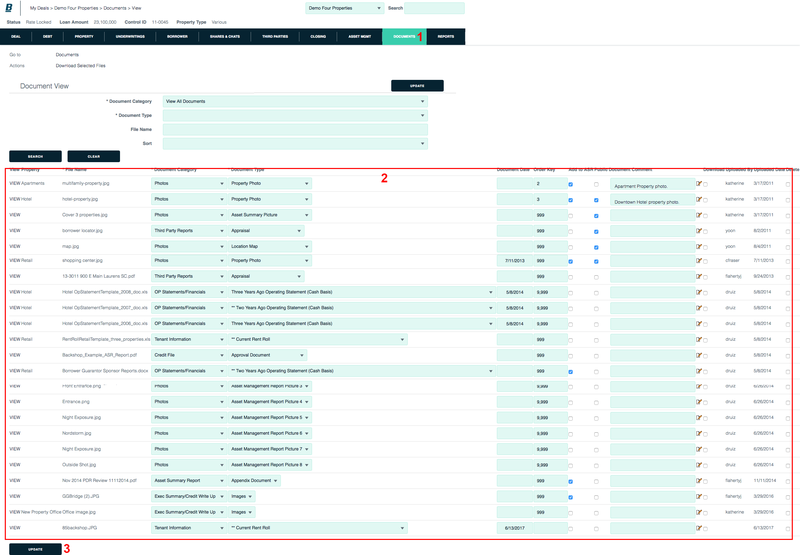 Click the Documents tab and the View Documents sublink. 2. 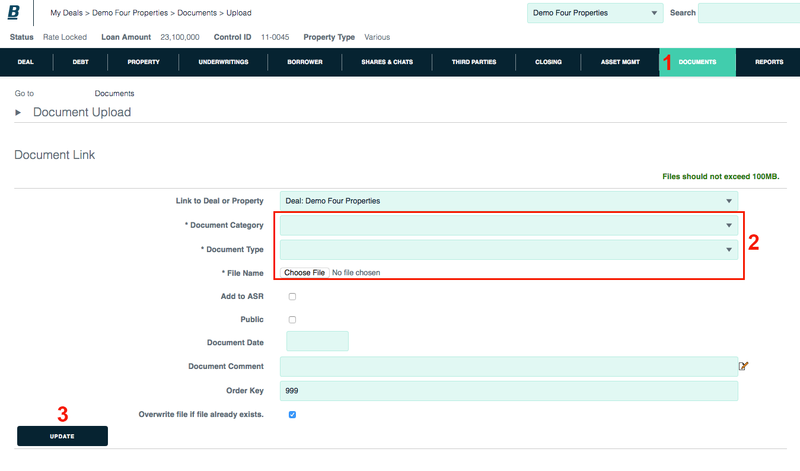 Update document category, document type and other fields.